Kensington Palace issued a statement following reports that the bride's father has pulled out of the wedding. Kensington Palace is asking for "understanding and respect" for Meghan Markle's father, Thomas Markle, after a report said that he would not be attending the royal wedding of his daughter and Prince Harry. "This is a deeply personal moment for Ms. Markle in the days before her wedding," a palace spokesperson said. "She and Prince Harry ask again for understanding and respect to be extended to Mr. Markle in this difficult situation." The palace's statement is likely a reference to a recent TMZ report claiming that the "Suits" star's father suffered a heart attack and has decided not to attend the royal wedding (the palace did not confirm that report), and that he staged paparazzi photos. The photos in question have been circulating this past week and show Markle's father reading a British history book in a coffee shop, browsing stories about the couple on the internet and getting his measurements taken. 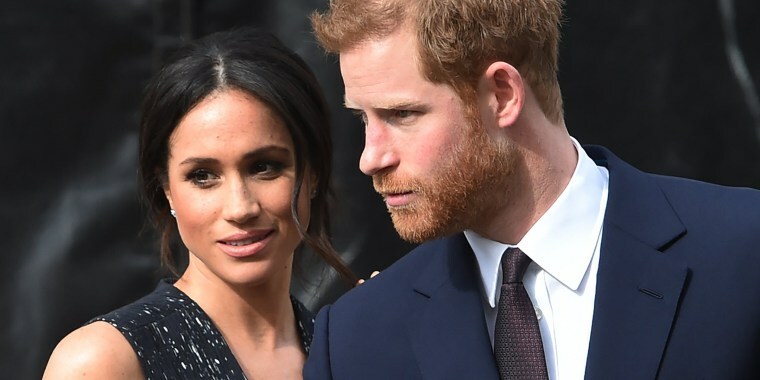 Markle and the prince are set to tie the knot in a much-anticipated wedding at Windsor Castle on May 19. In a previous statement, the palace said that "Markle is delighted to have her parents by her side on this important and happy occasion," and that her father would walk her down the aisle. Markle's father and mother, Doria Ragland, divorced when she was a child. They were to meet with the royal family this week.